The Dobsonian telescope or Dobson telescope is an altazimuth mounted Newtonian type reflecting telescope design made popular by John Dobson. The relatively simple mechanical design of the Dobsonian scope means it can be manufactured for a relatively low cost making it appealing to those new to astronomy or the casual user. 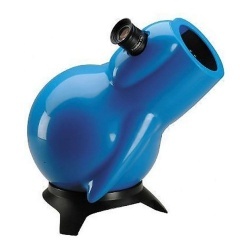 The Dobsonian telescope has a number of advantages, ideal as a beginner telescope it's compact design makes it easy to transport, it's really simple to set up and operate plus it's generally lighter compared to other telescopes of a similar size. 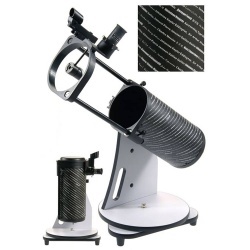 The term Dobsonian telescope is currently used for a whole range of large aperture Newtonian reflector telescopes that use some of the basic Dobsonian design characteristics. 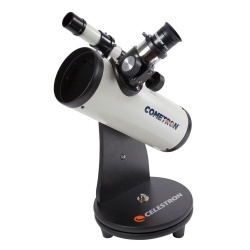 Popular Dobsonian telescopes include the Celestron Firstscope, Cometron Firstscope and SkyWatcher Heritage. 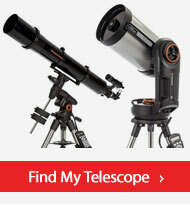 Dobsonian telescopes make ideal scopes for beginners and are a form of reflecting, Newtonian telescopes. These telescopes have an Alt-azimuth mount; this manually controlled mount provides rotation around vertical and horizontal axes. 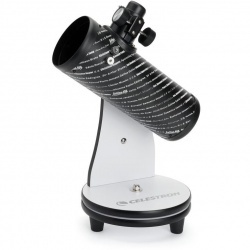 These entry-level astronomy telescopes are available to buy online from PicStop and we stock Dobsonian telescopes from Celestron and Skywatcher. 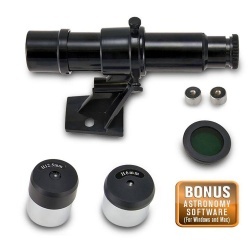 These astronomy scopes are portable and affordable making them great gifts and first telescopes! 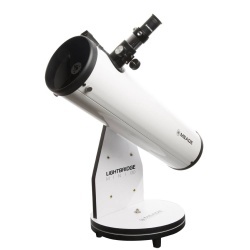 If you are looking to buy a Dobsonian telescope as a gift our team is here to help and answer any questions you may have.